Summer is just right around the corner and there is no better time than now to start shopping for an air conditioning unit. It may seem early but by shopping and buying an air conditioning unit you are going to save money right from the start. If you have ever waited until the very last minute to buy an air conditioning unit then you know that you end up paying a lot of money for the unit. Stores are know for raising the prices because they know people need and want them desperately when the weather hits 90 degrees. By shopping now, you could be getting savings right from the start. Plus, there are many more models to choose from too. There isn’t so much demand for air conditioners in March or even April. There are so many different brands but Haier Air Conditioners are very popular and they are great products. 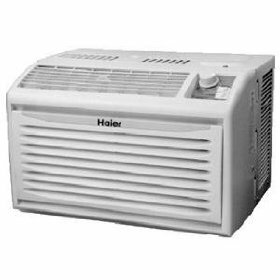 Here are a few of the Haier Air Conditioners that you can purchase from places like Wal-Mart. This unit from Haier is a vertical window mount unit. It works off a 10,000 BTU per hour unit. 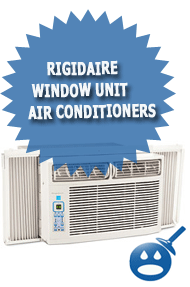 This style of air conditioner works any basement or even slider windows. 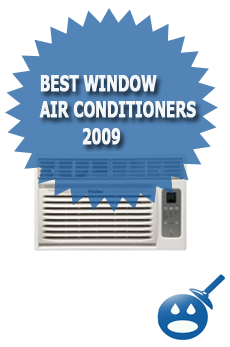 We al know how hard it is to find an air conditioning unit for basement windows. This model works from 115 volts of electricity so you won’t spend a lot of money on the electric bills. This Haier Air Conditioning unit has three cool settings and three fan settings. It has fresh air vents and a digital time and temperature display. This is great for saving money; on the old units there never were any type of temperature reading on a window mount air conditioner. You can set the a/c to your desired temp and save money. You can set the timer for any time you want when you don’t want the unit on all day. The Haier 10,000 works best on rooms from 351 to 550 square feet. The model number is HWVR10XC6 and the price is about $348.00 at Wal-Mart. The Haier 10,000 BTU Window Air Conditioner with Remote works perfect in rooms from 351 square feet to 550 square feet. This unit works with a 115-volt electrical power supply. It includes two fan settings and tow cooling settings. This unit has the airflow located at the top of the unit. This unit is compact in size and measures in at 17.34 x 19.68 x 13.56 inches. Perfect for kids windows or living room/bedroom windows. The cooling system on the Haier 10,000 BTU Air Conditioner comes with a remote control that can be used on the cooling settings of this unit. There are only two settings that were designed to not only keep your home cool but to save you money by creating an efficient unit. The model number is HWR10XC6 and it is priced at $ 216.00 at Wal-Mart. Our Haier air contioner was working fine when we removed it from the window last fall. We placed it back in the window today and it won’t turn on….do you know what the problem can be? Did you hear a humming noise when you turned it on? Sometimes the armature of the motor will freeze into position and turning the fan blade to engage it initially might help it along. Mine is doing the same thing! Let me know what you find out. 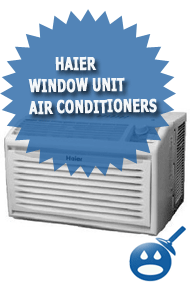 Recently I purchased a 5200BTS Haier window a/c. How many cubic feet will this unit cool? I have a used hair conditioner that I actually got for free a few weeks ago. It was working awesome until yesterday. Now the air isn’t circulating the room and it’s not as cool as it had been. I cleaned out the filter and left it off for long periods of time. Any idea what the issue might be? Haha, obviously I meant to write “Haier” and not hair. My Haier is stuck on the “fan” light. I dont know how to make it on the “cool” light. Ive had this unit for a couple yrs and never read the manual. I used to fix this problem by pushing the on button off and on. I purchased a Haeir window unit 3 years ago and had no problems. I put it in the window and turned it on last weekend for the summer, the fan is only blowing out air. The cool air (condensor) is not working, can I recharge it or do I need to discard the unit? Is there a drain for the water?